This new home features stone everywhere on the backside. 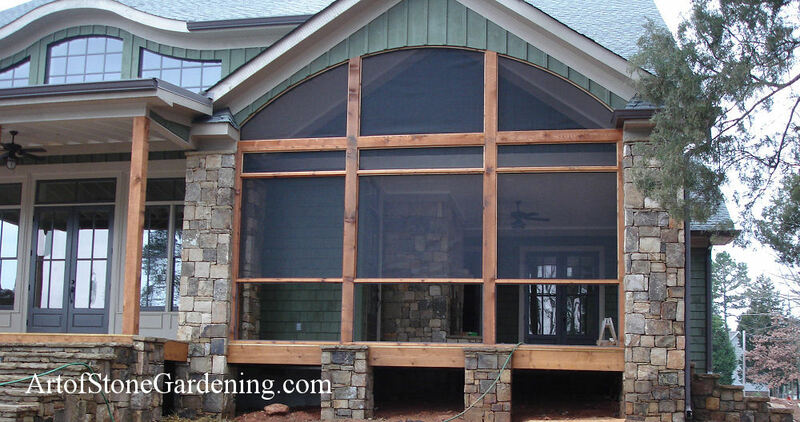 The screened in porch is supported by stone columns as are the sides. We also added a stone patio and wide stone steps.